Singing Impressionist, Vocal Impersonator & DJ. as you like everthing he can play as a D.J. of the original singers and then adds his own vocal stylings. 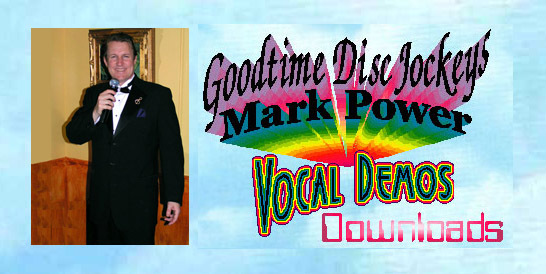 Mark is more of a vocal channel or singing trance medium. Mark sings the songs of the Rat Pack, Frank Sinatra, Dean Martin and Sammy Davis Jr.
in his Las Vegas lounge singer tribute. Bobby Darin, Frank Sinatra, Johnny Mathis, Etc. as many songs by Elvis Presley, Roy Orbison and others. & restaurants around the SF Bay Area for 25 years. Tux with Top Hat while dancing on roller skates. He is available for private parties, weddings, receptions, restaurants, festivals, fairs, anniversaries, corporate events, Las Vegas nights, casino or special theme parties. Whatever your event. Mark can personalize a musical program just for you.